When it comes to wood pellet storage you’ve got options—outdoor, indoor, and site-built. 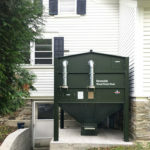 Most pellet storage bin designs receive pneumatic, bulk truck delivery for hands-off convenience. 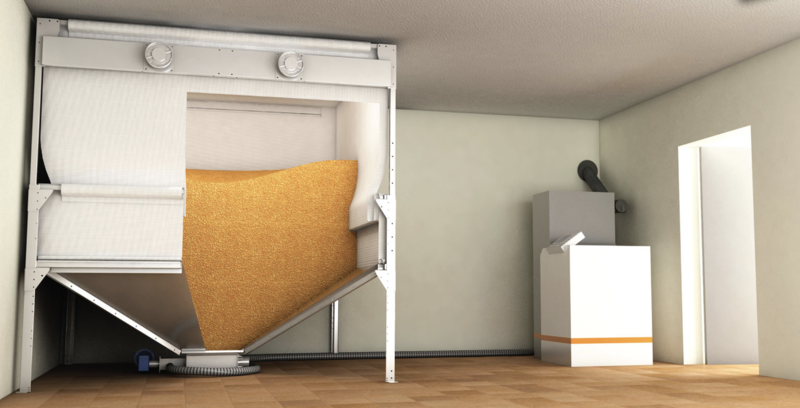 Sizes range from three tons and up for a month or more of automated heating between deliveries. Some states require bulk storage in order to be eligible for pellet furnace/boiler cash incentives. 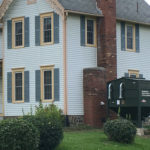 We at Sustainable Heating Outreach & Education specifically support the use of outdoor bins because of their visibility. 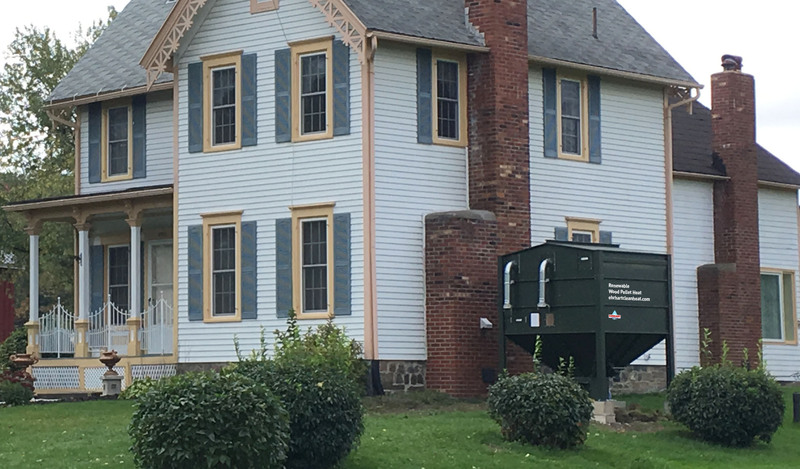 Studies show that knowing what your neighbors do is the most effective driver of green energy adoption. 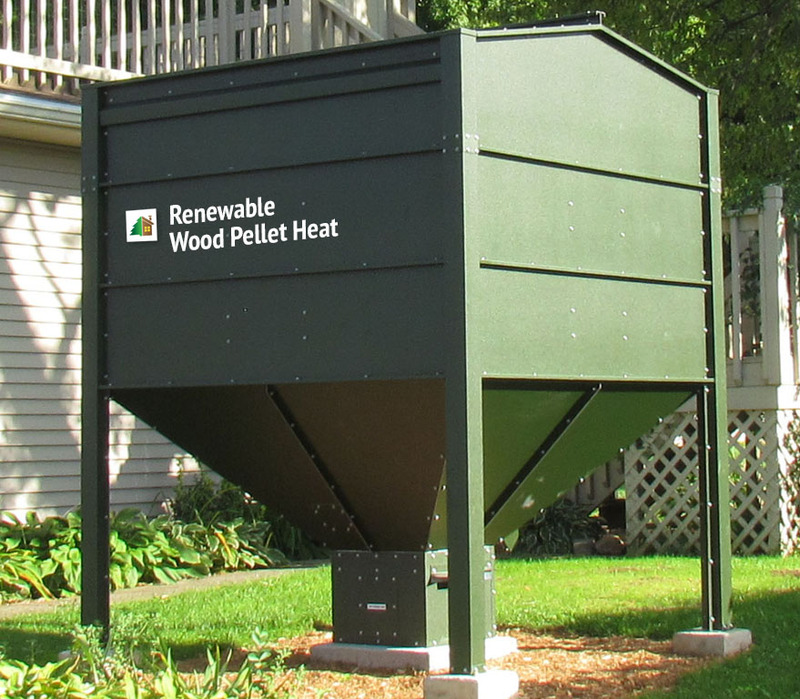 Outdoor bins with renewable heating signage leverages our green energy ethic similar to the way it works for solar panels. 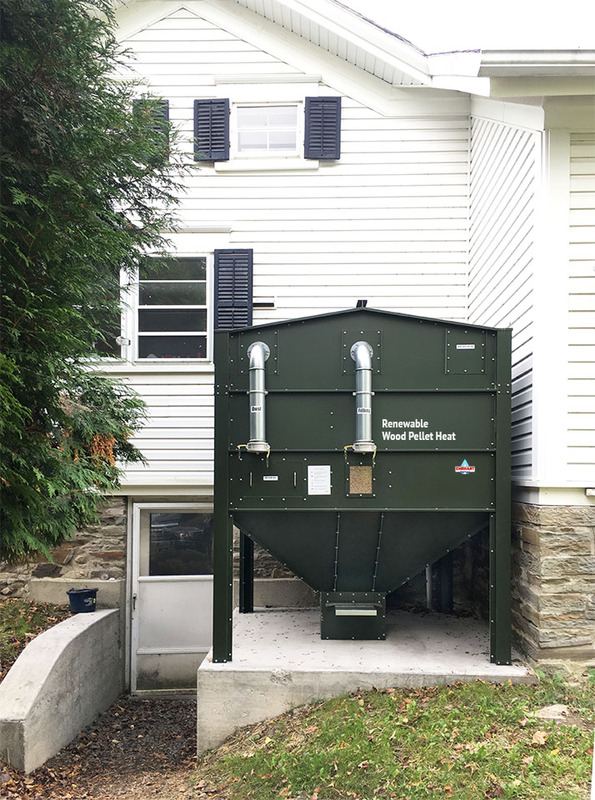 Therefore, adding an outdoor bin to your pellet furnace is the most effective thing you personally can do to fight climate change. 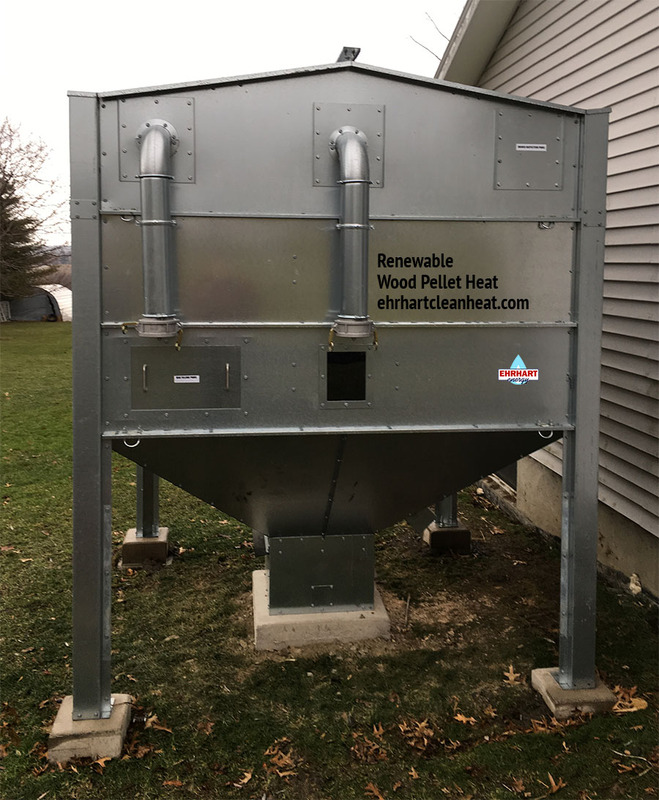 These outdoor bins are imported by Ehrhart Clean Heat. Pricing starts at $1,400. The sections are modular from 3 tons up to 30 tons. 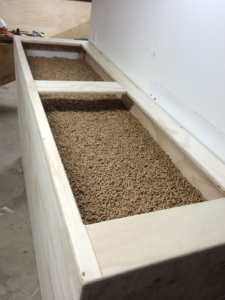 They are assembled on site and then set on a concrete pad or footings. Finally, the bin is filled by pneumatic bulk delivery truck or, in areas without bulk delivery, you can fill the bin with the leaf blower hack. 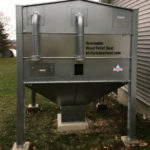 There are a variety of indoor fabric and metal storage bins that are available through the pellet furnace manufacturers. 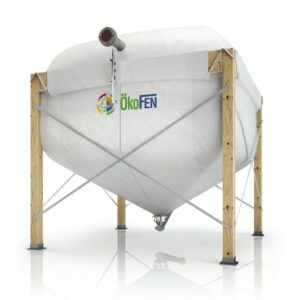 Indoor wood pellet silo (auger delivery). 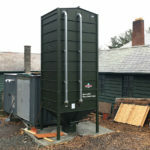 Image courtesy of Maine Energy Systems. Site-built wood pellet storage bin. Room-within-a-room! Live bottom with auto-feed vac system. 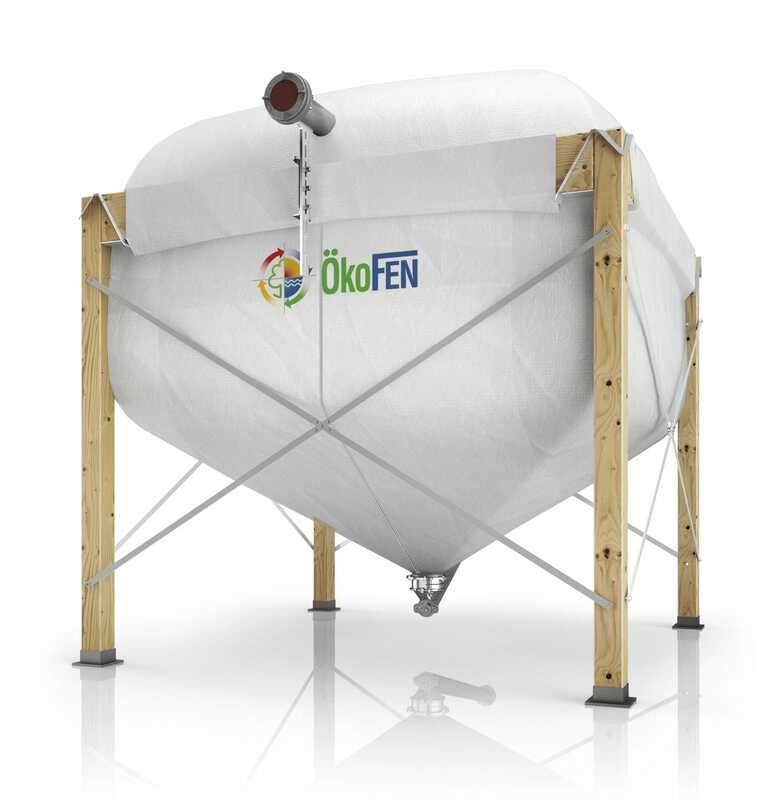 This trough-type bin for on-site, wood pellet storage is ideal for low ceiling applications. 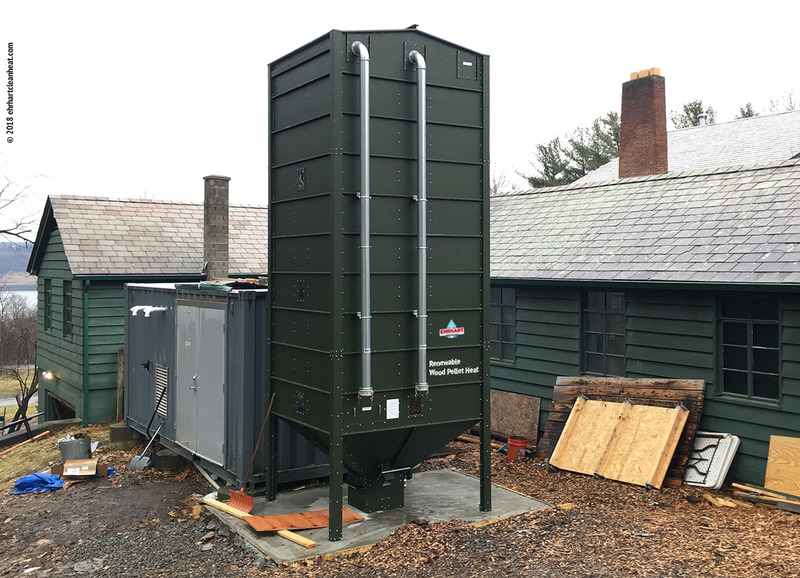 It uses an auger along the length of the bottom of the bin to automatically feed pellets when the home’s thermostat calls for heat and the wood pellet boiler ignition begins. 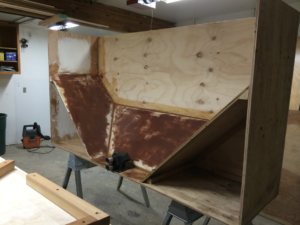 Cut-away photo of construction details for site-built stick wood pellet storage bin. Note vacuum suction intake module at the bottom of the chamber. Important note: During pneumatic bulk truck delivery, a static charge may be created. 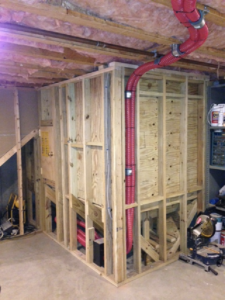 This charge is dissipated by grounding the fill pipes. 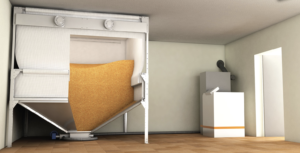 For a complete guide to best practices for wood pellet storage and conveyance, please review this safety guide.